Forest Development Corporation of Maharashtra has invited to application for 66 Clerk vacant posts. 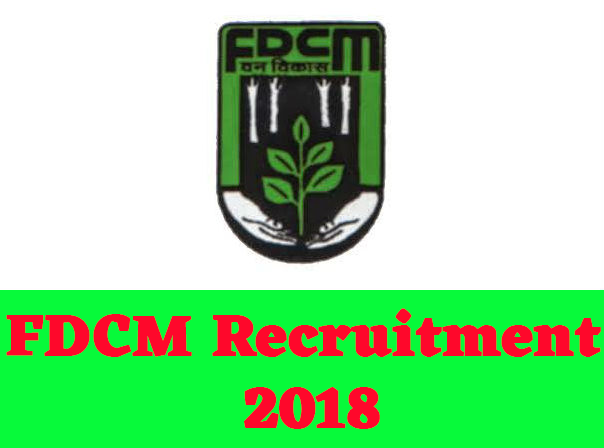 Eligible candidates who wants to apply for these posts refer the below article for details like age limit, qualification and how to apply for FDCM Recruitment 2018. Age limit:-Candidates age should be minimum 21 years and maximum 46 years. Bachelor of Commerce with Accountancy from a recognized University. Rs. 5,200/- to 20,200/- paid as salary. After filling online form send the printout with relevant document copies to below address. "Forest Development Corporation of Maharashtra, FDCM Bhavan, 359/B, Hingna Rd, Ambazari, Nagpur, Maharashtra 440036"
Competitive written examination of 200 marks of candidates for the post of clerk will be conducted online. For every correct answer two points will be given, and for every wrong answer, 0.5 points will be deducted. The written examination will be held in the entire state on the same day. Competitive written examination of eligible candidates is likely to be held in January 2019. The date of the test will be published on the FDCM's departmental website. On the basis of competitive written examination, the category wise selection of candidates according to merit will be selected.